Marvel and Netflix’s Jessica Jones series has been underway for quite a while now. All of Netflix’s Marvel projects were picked up about a year ago, but it took until today for the prolific comic company to announce who would star in the Jessica Jones series. As it turns out, Krysten Ritter has nabbed the honors. 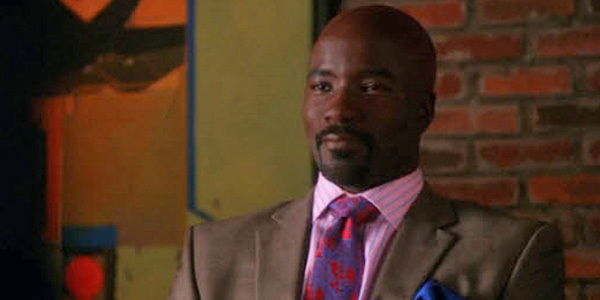 Reportedly, the actor playing Luke Cage will also be hired soon, as well. Ritter has been in the business for quite some time and had popular roles in Veronica Mars and Breaking Bad before branching out to star in short-lived shows like Don’t Trust the B---- and Gravity. Still, we’re honestly a little surprised to find out she’ll play Jessica Jones, a former superhero who ends up opening her own detective agency. Originally there were four names in the mix, including Ritter, Warm Bodies' Teresa Palmer, True Detective's Alexandra Daddario and Arrow's Jessica De Gouw. According to Deadline, it all came down to Palmer and Ritter, but Ritter was able to inch ahead. Of the four names, Ritter has had more opportunities to lead TV shows, but despite the fact that Don’t Trust the B**** got a second season, it wasn’t very heavily watched, and other projects like Mission Control and Assistance never moved beyond the pilot stage. The wrong kind of experience is not always a good thing in terms of popularity. Still, maybe Ritter wasn’t the problem in those failed pilots and will be a good fit to play the former superhero. Regardless, it looks like the decision has already been made. Following the Jessica Jones casting, Luge Cage will also be cast soon, with the report indicating that Mike Colter is the main actor the show is now looking at. Colter has had a larger arc on CBS’ lawyer drama The Good Wife this season, playing drug lord Lemond Bishop. But it looks like he’ll soon get to pull out his good side for Jessica Jones, where he is expected to appear in 6 or 7 episodes as a romantic interest before Netflix and Marvel’s Luke Cage gets off the ground. Jessica Jones’ first season is expected to be 13 episodes. While it could still be a while before the Marvel series gets off of the ground, another of Netflix’s collaborations, Daredevil, is expected to stream much sooner, hitting homes in 2015.